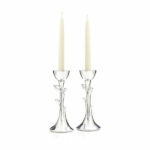 Tree of Life Sabbath Candlesticks This inspiring pair of Tree of Life Sabbath Candlesticks elevates your white or colored tapers above the Shabbat table. The fluid, sculptural form of the tree tends upward toward the flame and the heavens. 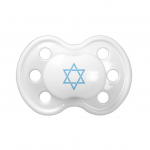 A truly beautiful addition to your celebration. 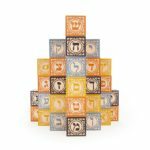 Hebrew Alphabet Blocks This set of hand-hewn blocks puts the ancient language of the Jewish people at your child’s fingertips.